Recent days have a seen a flurry of 2013 Mac Pro rumors fly, including pricing, that it could arrive as soon as Monday (select buyers) with the public release on Tuesday or Wednesday. Further, Primate Labs adds fuel to the anytime now fire by noting the appearance of 12-core Mac Pro Geekbench results. Three sets of Geekbench results have been posted, two run in 32-bit mode and a third in 64-bit mode. Averages for the two 32-bit runs (1, 2) yield scores of 2909 for single-core testing and 29721 for multi-core testing, fairly close to … predictions based on results from Windows machines running the same chip. 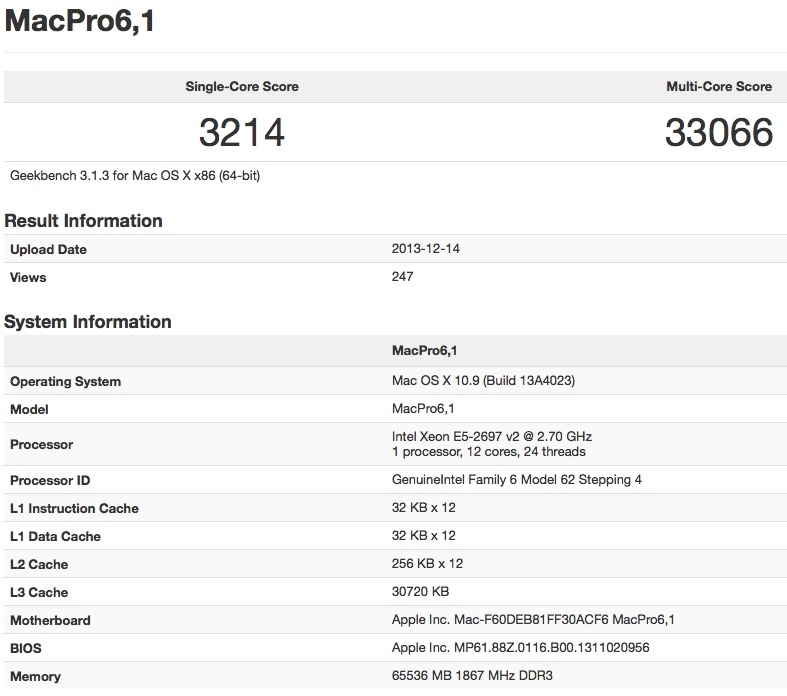 The 12-core Mac Pro shown below was running a unique if not special build of OS X Mavericks (13A4023), something that has been seen in earlier Geekbench results. For what it’s worth, the most recent OS X 10.9.1 beta seeded to devs is 13B40. 2013 Mac Pro: Better than Best? That said, Tapscape reported on the appearance of 8-core Mac Pro benchmarks, which delivered impressive results, roughly on par with the 12-core machines of the past. 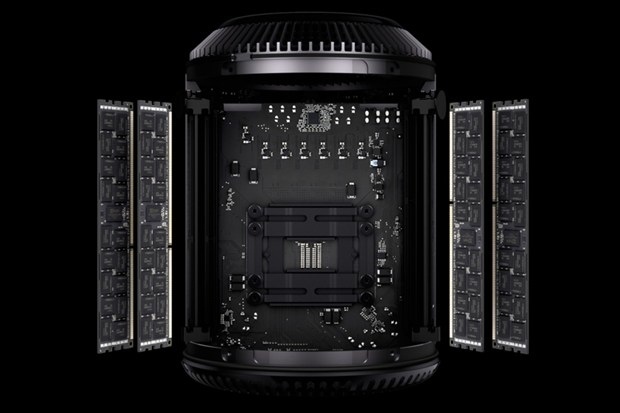 Quite naturally, the soon-to-be-release 12-core 2013 Mac Pro bests the lot. So, are you in Apple’s target video and image editing Mac Pro 2013 demographic? Can’t wait to get your hands on one or will you be holding back to see how things turn out?